American-Guamanian Curtis Washington (208-F-91, agency: Haylett Sports) put on an extraordinary performance in the last round for Al-Nweidrat and that's him to receive a Interperformances Player of the Week award for round 13. The 27-year old forward had a double-double of 32 points and eighteen rebounds, while his team beat Samaheej (#13, 0-11), the league's bottom-ranked team 86-74. The game was not the highest importance and did not have significant influence on top of the standings. Al-Nweidrat maintains the 11th position in Bahrain Premier League. The season is in a full swing, so it's only a dream for the team to make it into top half of the standings. For contrary they may face relegation if the situation turns from bad to worse. Al-Nweidrat have already lost 9 games and recorded just three victories. In the team's last game Washington had a remarkable 66.7% from 2-point range and got three three-pointers out of 7 attempts. He turned to be Al-Nweidrat's top player in his first season with the team. Curtis Washington averages just after three games 36.3ppg and 18.7rpg. The second most remarkable performance in last round's games was 26-year old Senegalese center Mansour Kasse (208-C-92) of Sitra. 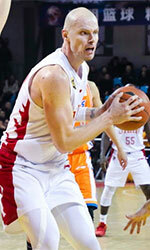 Kasse impressed basketball fans with a double-double of 46 points and 21 rebounds. Bad luck as Sitra was edged by the higher-ranked Al-Najma (#5, 5-6) 113-109. This loss caused Sitra to drop to 9th position in the standings. His team is not often considered as one of the league's best with a mere 4-8 record. Kasse is a newcomer at Sitra and it seems he did not have too much trouble to become one of team's leaders. The third best performed player last round was international Mohamed Buallay (95) of Al-Najma (#5). Buallay showcased his all-around game by recording 29 points, thirteen rebounds (!!!) and fourteen assists (!!!) in the last round. 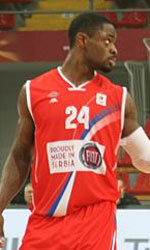 He was a key player of Al-Najma, leading his team to a 113-109 win against the lower-ranked Sitra (#9, 4-8). The chances of Al-Najma ranking at the top of the league, however are very questionable as they have already lost 6 games, recording just five victories. With bigger assistance of his teammates, Buallay could help Al-Najma to bring them higher in the standings. Buallay has a very solid season. In 11 games in Bahrain he scored 16.4ppg. He also has 10.4rpg, 9.4apg and FGP: 53.0%.